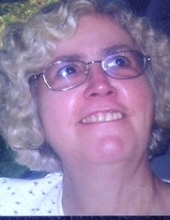 Nancy Lea Meade Hughes, age 72 of Pikeville passed away Wednesday, March 27, 2019 at the Pikeville Nursing and Rehab Center. She worked as a secretary for the Social Security Administration and M.S.H.A, and was a member of the Church of Christ. Nancy was born in Pikeville, Kentucky on March 30, 1946 the daughter of the late Eugene and Norma Cornette Meade. Along with her parents, she was preceded in death by her husband, Roger Hughes. She is survived by her daughter, Jane (Kevin) Maynard of Zebulon, Ky.
She is also survived by two brothers, Lucian Meade and Billy Meade of Johns Creek, Ky. and four sisters, Lucinda Greer of Johns Creek, Ky., Patsy Blackburn of Sharpsburg, Ky., Judy Ledford of Paint Lick, Ky. and Karen Blackburn of Pikeville, Ky. and two grandchildren, Jacob Maynard and Will Maynard. To send flowers or a remembrance gift to the family of Nancy Lea Meade Hughes, please visit our Tribute Store. Evening services will be at 7:00 p.m.
With Shane Lockard and Jerry Bliffen officiating. "Email Address" would like to share the life celebration of Nancy Lea Meade Hughes. Click on the "link" to go to share a favorite memory or leave a condolence message for the family.